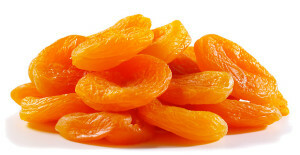 These dried apricots are durable because chemicals (mainly sulphur) are used during production. Size: 0 – 8 (Biggest to smallest) See size chart. Packaging: 1, 5, 10, 12.5kg cartons. We can do other type of packaging upon your request. Retail packing and private label options are avaliable. Dried apricots stay in sulphured rooms for 6 hours to protect from microorganisms harm and to protect color. After that, apricots continue to dry under the sun.